A short update with levels. 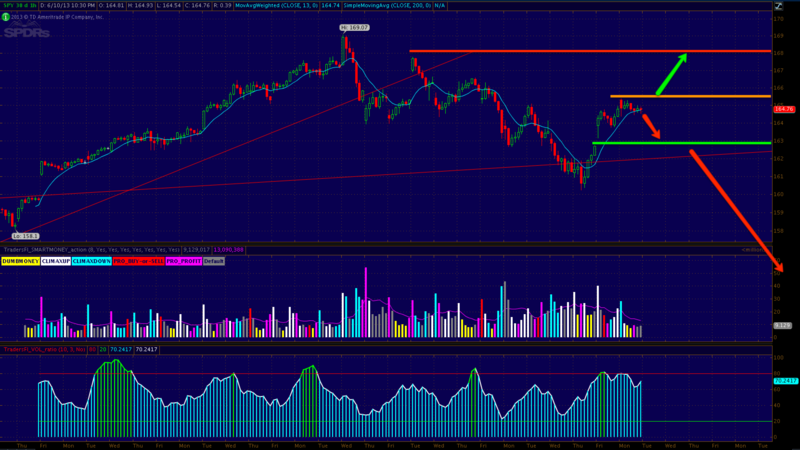 Below 1h SPY chart, 162 (SPX 1620) “should hold” or I’m guessing on more down, even below 1600. I’ve set resistance and target @ ~168 if bulls manage to close higher today/tomorrow. I feel that today / tomorrow is an important day for them bulls.